Google Keyword Tool was an excellent keyword research tool, but Google has killed it. So what are you going to use for your keyword research? You can pay for a keyword tool or use the new Google Keyword Planner instead . This article outlines how you use it. If you want to make improvements to rankings this is an insightful tool that will help. To get access to the tool you’ll need to create a google adwords account. You don’t have to pay for any advertising but you do need to have an account. If you don’t have a google adwords account start here – Creating a Google adwords account. When you setup your account and login select the ‘Tools and Analysis’ menu option followed by ‘Keyword Planner’. What’s the difference between Google Keyword Planner and Google Keyword Tool ? 1. You access it through your Google adwords account. So the interface is different and it’s more targeted at advertisers. But you don’t have to advertise to use it. 2. With Google keyword tool the default results used to show a ‘broad match’ for average search results. If you wanted you could change this to phrase match or exact match. In Google keyword planner you can only view exact matches on keywords (i.e. 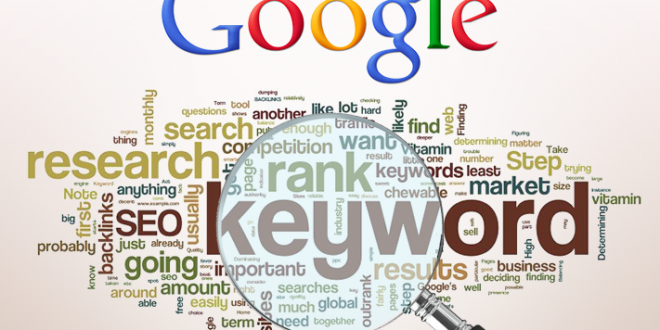 the average number of searches will be based on people typing in those exact keywords). 3. You used to be able to view average searches for keywords broken down by device. You can’t distinguish between devices with the new tool. This means the average search for keywords will appear higher. 4. You used to able to tell Google to show closely related terms to the keywords you enter. How to use the new Google Adwords keyword tool ? a). Search for keyword and adgroup ideas – Select this option if you want to perform normal keyword research where you just enter in your keywords and Google will show you the searches based on these keywords. Google will also show you suggested adgroups based on this keyword and some advertising information. The adgroups will have a selection of keywords similar to your keyword. The ad platform is thinking about how it can encourage you advertise using more than just the keywords you enter and that is why you get the adwords suggestions. b). Enter or upload keywords to see how they perform – Enter keywords in Google keyword planner or upload a file with keywords and get details related to ads you could run based on these keywords. For example, you’ll see the average cost per click, estimated clicks etc. c). Multiple keyword lists – This allows you to create 2 lists of keywords and Google will come up with combinations of keywords based on multiple keywords. For example, one keyword list could have locations and the second could have activities that you can do for any location. So instead of typing in all the combinations Google will match them up. Your product or service – Enter in the keywords you want to research. Comma separate keywords if you want to enter more than one. Your landing page – This is where you run advertisements and bring people to a landing page. Google Keyword Planner will review this landing page to find out keywords that could be relevant to your campaign. For keyword research you’ll probably leave this blank. Your product category – This helps Google find more keywords as it will understand more about your keywords when it understands what category they belong to. Only select this option if you find a category that closely matches your keywords. Location – You can select all countries or specify particular countries. Google will search results based on the countries you select. Negative Keywords – If there are particular keywords you want to exclude from your search enter them here. Keyword Filters – One important area for keyword research in this section is that you can specify the minimum keyword search volume. If you want to find keywords that have a reasonable search volume you can specify a value here. The average cost per click is a value you can enter such that only keywords with a higher or lower value than what you specify is displayed. If you want to target keywords that are not that competitive you may specify a max value here. The ad impression share allows you to specify a threshold based on the amount of impressions (ad that is displayed) for the searches based on this keyword. Keyword Options – You can disable the display of any ‘adult’ keywords and/or keywords that are already part of your adwords account. Include/Exclude – You can include or exclude any particular keywords from your account. When you’re ready click the button ‘Get ideas’. For test purposes I selected the keywords ‘Social Media Tools’ and ‘Social Media Monitoring Tools’ and I specified that I only wanted to see keywords with at least an average of 250 search volumes per month globally. When the results are displayed the default screen is the Adword groups. The adgroups are sorted by relevance with the most relevant displayed first. The average monthly searches is the total average for all keywords within the adgroups. This is a 12 monthly average based on an exact match for these particular keywords. For keyword research it is much better focussing on the exact matches. To do further analysis on this list you can download it (top right hand area). If you are happy with the list you can ‘add all’ which is adding these to your adwords account for advertising purposes. If you click on any adgroup you can can see the keywords within this group. If you click on any adgroup you can can see the keywords within this group. As you can see all items in the group have at least 250 average searches which is as a result of the filters I set. Instead of selecting the Adgroup ideas you can select Keyword ideas. This shows a breakdown by keyword only, not by adgroup. One thing to be careful of is the keyword match types. You can only view the average number of searches using an ‘Exact’ match. In the right hand column there is an option to change results to Exact, Broad or Phrase, however this does not apply to search results. This only applies to the click and cost estimates. Another option for doing keyword research in Google Keyword Planner is entering your own keyword or uploading your keywords. The first option described above gives Google a chance to suggest a broad range of adgroups and keywords based on the keywords you suggest. If you don’t want any suggestions use this option to enter in your keywords. You’ve two options – Get estimates or Get search volume. If you select get estimates this will give you an idea of the costs involved in advertising for these keywords. If you select get search volume you will see the same results as using the ‘search for keywords and adgroups’ option except you will only see your keywords. Multiple keyword lists is a quicker way of entering multiple keyword combinations. Google combines the lists and searches for matches based on the keyword combinations. Although Google keyword tool is gone all is not lost!! The Google keyword plannerprovides some really good keyword research options. You do need a Google adwords account but that doesn’t force you to advertise. Will you use the new keyword tool or will you start investing in a paid tool for research? How have you found this tool to use? Have we missed anything? Next Does Keywords Still Matter in 2016?